Why Twitter? Defending Twitter and it’s greatness is one of my favorite hobbies. It gets a bad wrap from users who aren’t using it intellectually. I don’t mind that you are posting what you had for dinner, it just isn’t why I’m on Twitter. I get the majority of my social media and worldly news by reading Tweets of others pundits, which take me to their blogs. I use twitter to push updates of my blog as well as connect with friends who live in other parts of the country. I also use it to follow local businesses, so I can stay up on any specials they are running. 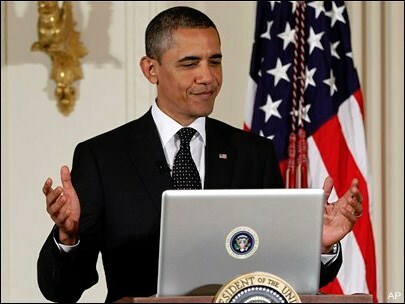 Tonight is President Obama’s State of the Union Address and you can bet that Twitter is going to be ripe with comments. I want to show you how you can use the microblogging site to see what others are saying in response. What’s that, you have plans tonight? You can retroactively search Twitter and see what people said. I for one will be on Twitter live following what people are saying. Twitter has two functions that you will find helpful if you want to follow along. Hashtags and Trending Topics. Hash Tags are phrases that when you put a # in front, it become clickable. When clicked on, you can see what others are saying about that topic. I would imagine that the hash tag #POTUS will be popular, along with #SOTU. Items don’t have to be hash tags for you to search them in Twitter. You can type in any phrase you want in the search at the top and see what has been said or tweeted. Say you wanted to see what users were saying about Argo, the recently released moved by Ben Aflack. You could use this search to sway your opinion on whether you see the movie or not based on what others are saying. Trending Topics are phrases that Twitter recognizes as being mentioned rapidly in a short period of time. A trending Topic or TT tonight will most likely be #POTUS and #SOTU, but if President Obama does something funny, you can almost guarantee that it will become a trending topic on Twitter. Tomorrow on the news you’ll here that X amount of tweets were sent during the State of the Union. Use twitter as a second way of consuming the speech. You can reply to what people say or you can just take it all in, but tonight’s address will definitely be fun to watch on TV and on Twitter. You can also count on the possibility of parody accounts surfacing. A speech at the Republican National Convention by Clint Eastwood caused the creation of the InvisibleObama Twitter account. Odds of a Harlem Shake at the State of the Union tomorrow night? Are you going to follow the State of the Union Address on Twitter? Let us know in the comments.